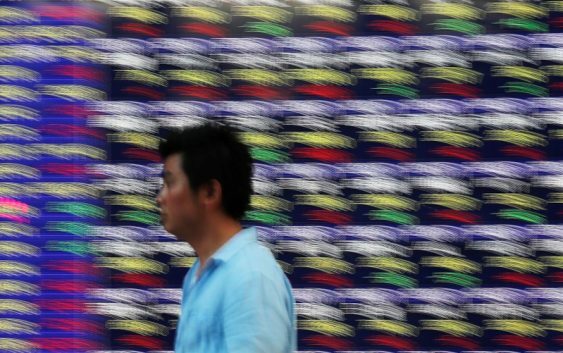 SHANGHAI (Reuters) – Shares in Asia rose on Thursday after the U.S. Federal Reserve took a more accommodative stance at its policy meeting, but concerns over U.S.-China trade talks and slowing global growth capped broad gains and pulled some markets lower. MSCI’s broadest index of Asia-Pacific shares outside Japan was up 0.5 percent. 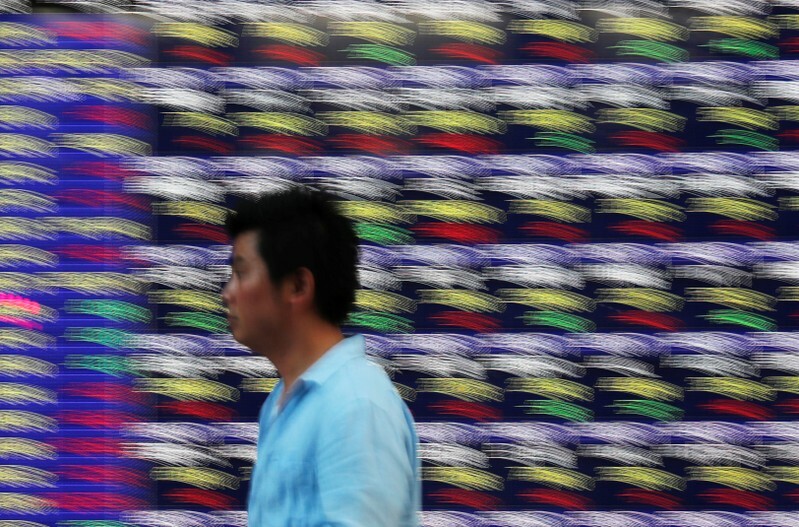 Chinese blue-chips, which spent the morning swinging between small losses and gains, were flat, while Seoul’s Kospi added 1 percent as regulators announced plans to cut the stock transaction tax this year. Australian shares, which had risen earlier in the session, turned lower, dropping 0.5 percent. U.S. President Donald Trump on Wednesday warned that Washington may leave tariffs on Chinese goods for a “substantial period” to ensure Beijing’s compliance with any trade deal. “We’ve felt that clients have been positioned quite bearishly at the end of last year and have been trying to catch up, so any of the dips have tended to be bought,” he added. But while investors cheered the Fed’s new approach, the reasons behind it are creating concern. “What the Fed is doing is trying to engineer a soft landing. What the market is hearing though is things have gotten so weak so quickly … and the earnings outlook is so dire that real money managers don’t want to chase this rally,” Greg McKenna, strategist at McKenna Macro wrote in a morning note to clients. The Dow Jones Industrial Average fell 0.55 percent to 25,745.67, the S&P 500 lost 0.29 percent to 2,824.23 and the Nasdaq Composite added less than 0.1 percent to 7,728.97. The Fed’s comments dragged yields on benchmark U.S. Treasuries lower, with 10-year notes yielding 2.5245 percent compared with a U.S. close of 2.537 percent on Wednesday. The abandonment of plans for more rate hikes this year pushed the two-year yield, sensitive to expectations of higher Fed fund rates, to 2.3982 percent, down from a U.S. close of 2.4 percent. The dollar continued to ease after falling on Wednesday, with a basket tracking the currency against major rivals edging down to 95.874. The greenback was down about 0.1 percent against the Japanese currency, buying 110.59 yen. The euro was up 0.14 percent on the day at $1.1427, while sterling rebounded from a sharp drop Wednesday after British Prime Minister Theresa May asked the EU to delay Brexit until June 30, a shorter extension than some in the market had been expecting. The pound was up 0.2 percent at $1.3221. Global growth worries extended to commodity markets, where oil prices, which had jumped Wednesday on supply concerns, retreated. U.S. crude fell 0.1 percent to $60.17 a barrel after touching four-month highs on Wednesday. Brent crude was a touch lower at $68.47. Declines in oil prices, however, are seen to be limited by efforts led by the Organization of the Petroleum Exporting Countries (OPEC) to curb supply. Widely watched U.S. data also showed supplies were tightening.